This is the first know photo of a human being. 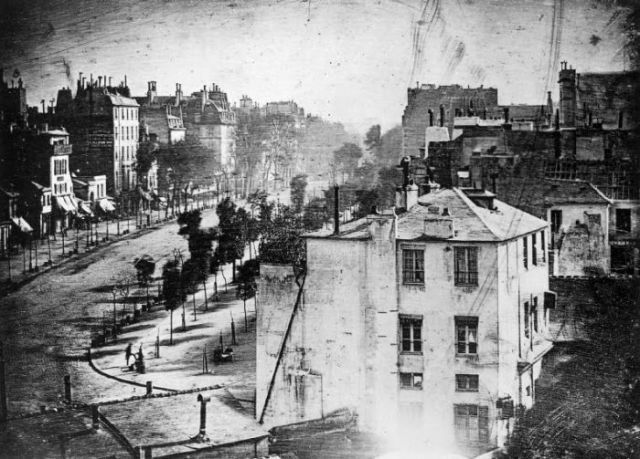 It is a Daguerreotype that was taken in 1838 in the Boulevard du Temple in Paris by the inventor of the process Louis Daguerre. This process involved exposing a chemically treated metal plate for 10 minutes. There were other people and carriages in the photo but because they were moving, they didn’t show up. 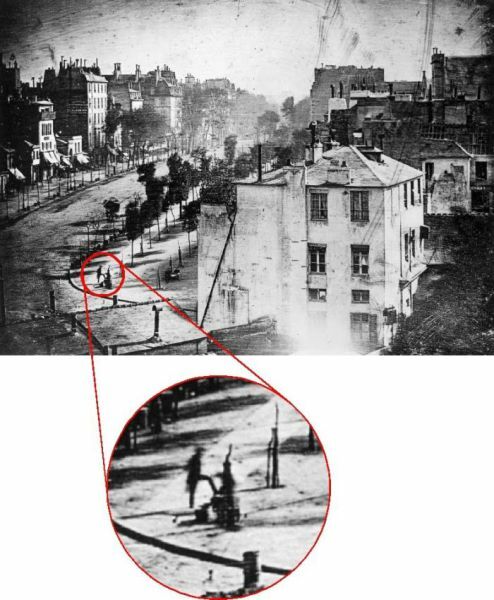 Only this man and a bootblack can be seen in this picture as they stood long enough without moving a lot during the time of exposure. so this guy stood like that for 10 minutes? @ hum, Yea, he was waiting for 10 minutes to get his shoes polished. I wonder if he ever knew he was the first, or perhaps he never knew what a photo was. You're very observant, Dalroc. I can see two others, one is sitting, but can't see the third. Thanks for the tip. I wouldn't have noticed.